Oregon’s Top 5 Players in the NBA? Although Oregon doesn’t have a long list of NBA players like Duke, North Carolina or UCLA, the Ducks can boast about the following Top 5, whom I’m going to rank arbitrarily according to their stats and highlights in the NBA. Steve Jones is a part of the Oregon Hall of Fame. 1. Steve Jones: Jones was undrafted but signed with the Oakland Oaks of the ABA, in 1967. He was a nomad, jumping from team to team, playing on eight teams during his 11-year career. 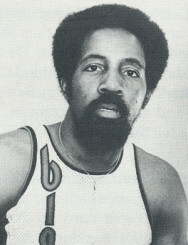 Jones earned ABA All-Star honors in 1970, 1971, and 1972. His per-game averages were 15.2 points, 3.5 rebounds, and 2.2 assists — with a 44.4% shooting percentage. After his playing career, Jones became a legendary Portland Trail Blazers’ announcer. 2. Greg Ballard: Ballard, a small forward, was the 4th-overall pick in the 1977 NBA Draft. He spent most of his career with the Washington Bullets. After eight seasons with the Bullets, two seasons with the Golden State Warriors, and a short season with the Seattle Super Sonics, Ballard retired in 1989. His career per-game averages were 12.4 points, 6.1 rebounds, and 2.2 assists — with a shooting percentage of 47.2%. The following is a video of Ballard as an Oregon Duck, scoring 43 points in a 1977 first round NIT game against Oral Roberts. 3. Terrell Brandon: The Cleveland Cavaliers picked Brandon, a point guard, with the 11th-overall pick in the 1991 NBA Draft. Brandon spent six seasons with the Cavs, two seasons with the Milwaukee Bucks, and retired in 2002 after four seasons with the Minnesota Timberwolves. He was an all-Star in the 1996 and 1997 seasons. During his career, Brandon averaged 13.8 points, 3 rebounds, and 6.1 assists — with a field goal percentage of 44.8%. 4. Luke Ridnour: The Seattle Super Sonics’ first pick, Ridnour was the 14th-overall pick in the 2003 NBA Draft. Having played for Seattle and Minnesota, he is now playing for the Orlando Magic. As a point guard/shooting guard, Ridnour’s current per-game averages are 9.3 points, 2.3 rebounds, and 4.5 assists and a 43.1% field goal percentage. Ridnour’s best years to date were his three seasons with the Timberwolves, 2010-13, when he averaged a line of 11.7/2.7/4.6. The following is an excerpt of a Ridnour performance with the Timberwolves. 5. Aaron Brooks: The Houston Rockets chose Brooks as the 26th pick in the 2007 NBA Draft. He is currently playing for the Chicago Bulls as the back-up point guard to Derrick Rose. Brooks played some critical minutes in the recent series against the Cavaliers, giving Rose some needed rest. Brooks’ career per-game averages are 11.2 points, 1.9 rebounds, and 3.3 assists while shooting for a 41.5% average. Here’s a highlight of his 22-point game against the Washington Wizards in March of this year. It’s true there haven’t been many Oregon alumni in the NBA, but the future looks promising for some of the current Ducks. 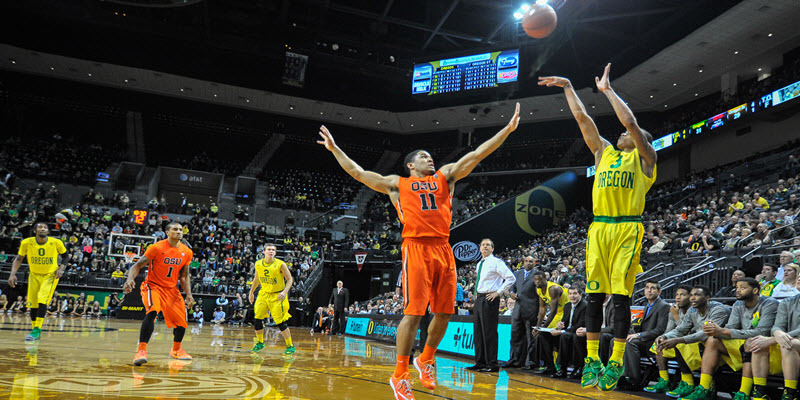 Joseph Young, arguably Oregon’s best player ever, is projected to be a 2nd- or early 3rd-round pick in this year’s draft, and there are still at least three possible NBA players left on this year’s Oregon roster: Jordan Bell, Dillon Brooks, and Elgin Cook. Elite programs may have produced more NBA players than Oregon, but the NBA has reason to keep Oregon Ducks basketball in its sights.